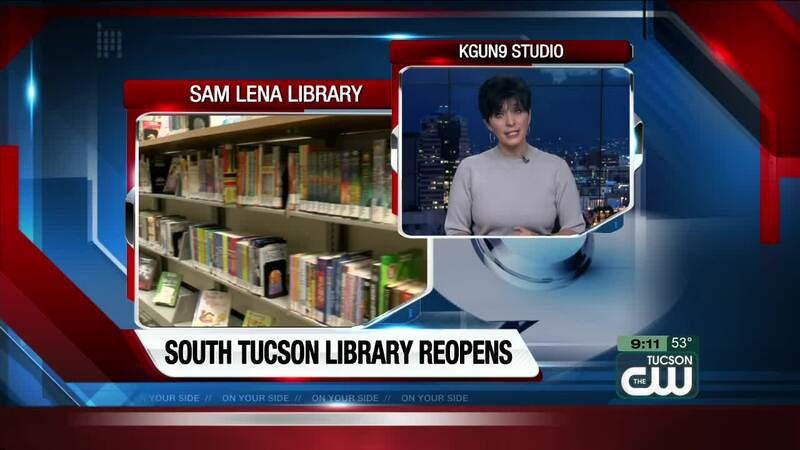 The Sam Lena-South Tucson and Flowing Wells Libraries will reopen following major renovations that Pima County hopes will delight customers. The Sam Lena-South Tucson Library will reopen on Dec. 6 at 9 a.m. The Flowing Wells Library will reopen Dec. 10 at 10 a.m.
Library patrons can expect changes at both. At the Sam Lena-South Tucson Library, a complete overhaul of the library has created a more purposeful space for over 9,500 monthly visitors including more natural lighting, larger children's room, new study rooms and an upgraded service desk and curbside book drop. The Flowing Wells Library has been expanded from 5,000 to 13,000 square feet. The new features include a large multipurpose room, study rooms, outdoor patio with wifi access and separate designated spaces for teens and children. Both libraries will have updated collections and furniture along with more public use computers.